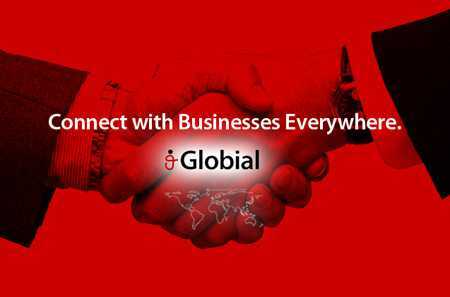 Globial is a business-to-business trade company that hopes to connect your business with buyers and suppliers around the world. We caught up with the CEO, Umut Yildirim and the company’s digital Marketing and Communications manager, Sunny Mui to find out how they are planning to reshape global business, and destroy Linkedin and Alibaba. Where’d the name Globial Come From? Umut Yildirim: I had spent a year in Florence, Italy. During this time, I had recognized that Italian words have a special harmony in sayings such as “communication” and “communicatzione.” You can sometimes guess what the Italian translation of the word can be. When the idea came to my mind in the bathroom, I thought of names related with global– globall? No. globeal? No. globaal? Hell no. Globial, yes. Globial.com available? Yes! UY: I started with 3 Indian developers. They left me after couple months for some reason I don’t remember exactly. I guess they didn’t like the taste of the curry I cooked for them. I then built another team of ten intelligent people. We are hiring two more soon. UY: I have been inspired by three people in life: Steve Jobs, Warren Buffett and Ataturk. I also believe that simplicity is the ultimate sophistication. Maybe some say I look like a Turkish Steve Jobs? Perhaps it’s because I think the same way as Steve Jobs? Anyway, I love listening to Mozart, eating sushi, and talking about how we can take Alibaba and then LinkedIn down. 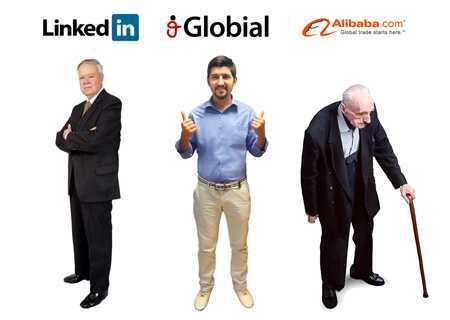 I have thousands of pages of documents about Alibaba and LinkedIn. I even know the name of the grandfathers of the founders. But don’t tell them I know! UY: We got our first investor check five months ago from an angel investor. That was the happiest time of my life until the next morning, when I recognized that I had drunk more than enough. UY: I would find a more comfortable chair to sleep in (for those late nights the office). That Wal-Mart chair isn’t very comfy, but it was cheap. I might be paying the price for it with a sore back though! UY: Not yet. I will probably feel it when we kill all of our competitors! This is just the beginning of the whole story. With over 20,000 businesses registered, we are just warming up! Web App or site you couldn’t live without? UY: Gameknot.com. Great site for chess masters, especially after everyone leaves the office. UY: Instagram is cool. I look like a pop star on it. UY: iOS for sure. Ironically, I have an Android phone. Interesting, I have never thought about this before. UY: We think too much about what we’re ordering for lunch. How many emails do you get/reply per day? UY: Email? You mean Globial messages? I get and reply to a lot and still they keep on coming. In addition to Globial’s CEO Umut Yildirim, we also had the opportunity to catch up with the company’s digital Marketing and Communications manager, Sunny Mui, to talk about hard work and private chefs, changing the global business trade industry, and the Red Cross. When did you join the company, Sunny? Sunny Mui: I joined the company almost a year ago, before we had launched–when things were still in the very early stages. I found Globial through a listing, but Globial has since become something much more to me than just a job. I’m a cofounder here because I’ve been such an integral part of our journey as we grew, developed, and built the platform. A lot of my sweat has gone into making Globial happen–I even have dreams about Globial when I sleep. 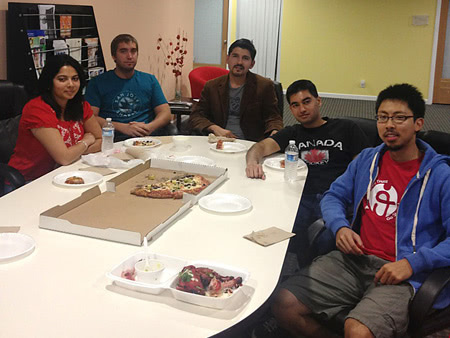 SM: Before joining Globial, I was a volunteer at the Red Cross, a key part of my family’s business, and a fresh college graduate ready to change the world. In the Red Cross, I was a Restoring Family Links volunteer–we helped reunite families that had been separated by conflict or disaster. After trying out a digital marketing firm, I found Globial and immediately decided that this was where I wanted to be. This was where I was going to change the world. 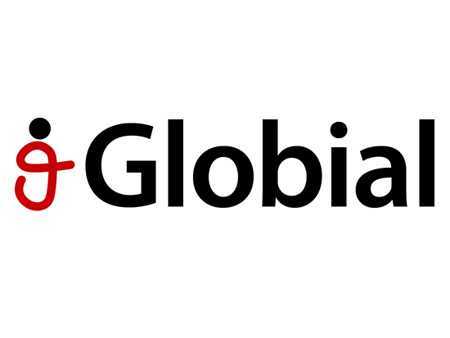 What do you love about Globial? SM: The people behind Globial and the challenge of changing an industry. The people here are the hardest working and smartest people I’ve ever met. They have real passion when it comes to making Globial successful–I know we’re going to make it when I see how hard everyone of us works. We’re all willing to put the time, sweat, and sacrifice into making Globial our triumph. The challenge of changing the B2B ecommerce industry, killing a multibillion dollar giant, and integrating social communication in a way that hasn’t been done before is absolutely thrilling. Who wouldn’t love to go boldly and change the way the world does business? If you had $1 million to start your own company, what kind of company would it be? What would you do? SM: Honestly, if I had a million dollars, I’d put it right back into Globial’s development, (and a company private chef would be nice too). However, I’ve also always thought about opening up a restaurant someday. I’m a bit of a foodie and an amateur chef. I would marry all the cuisines of the world into some wonderful, delectable results. I might even call it the Globial Café. Umut Yildirim: One last thing, join Globial dude! Sounds like there’s some serious hard work and dedication behind Globial, and it’ll be interesting to see you guys challenge the industry. Also, I would definitely eat at Globial Café. Yum.